Makeup Photo Editor-Beauty Selfie Camera is best and powerful photo makeover and cosmetic photo in a click! 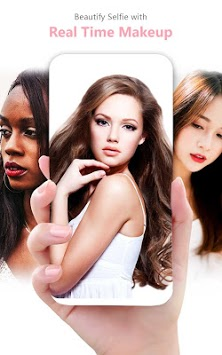 Makeup Photo Editor-Beauty Selfie Camera can beautify your photo and change your style with just ONE TAP touch up your selfies with quick and powerful features and get awesome results. This application also provides multiple powerful pre-defined makeup styles to adjust and fine-tune details as you like. Makeup Photo Editor-Beauty Selfie Camera with many amazing makeover effects. Whenever, wherever, snap your filter selfie and makeup your photo to be more charming. Use Photo Makeup can achieve professional & beautiful photos. Photo Makeup - Makeup Camera is really good for makeup your photos and taking a selfie with motion stickers, How powerful it is? Must have a try! What is special in the makeup photo face Editor App? 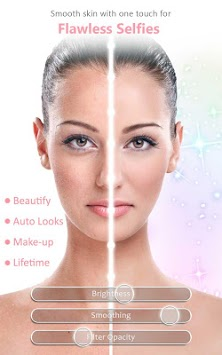 Makeup Photo Editor offers the function of photo beautifying and make up in one tap! So easy to be beautiful. Makeup Selfie Editor is just not a makeover app, but also a must have or selfie camera. Makeup Camera has the same effects as another application, but easier to use. Take a photo with our camera or choose a photo, then you can start to beautify with Beautify Camera. Photo Makeup & Beautify Camera with the advanced (SFRS) Smart Face Recognition System helps to detect facial features faster and makes your makeup precisely and naturally fit. Makeup Camera with One tap to take a lot of self-snapshots, Change different poses and snap away until you get the desired photo. makeup finished in seconds. Pretty Hair changer can try on a hairstyle over any face thanks to super-accurate facial detection. 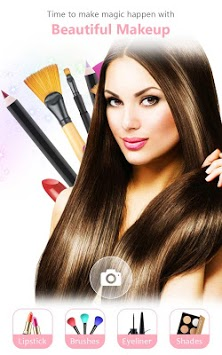 Hair style and hair colors tools include all natural looks. We know what you need, so this makeup photo editor app was born to meet those needs. The application integrates too many functions such as photo makeup, photo editing, video recording etc. Thank you very much for your interesting. Any questions or suggestions please send the email support.